These are our most frequently asked questions. For more information about Graduate House, or if your question is not found below, feel free to Contact Us. Can graduates of other than The University of Melbourne join The Graduate Union? We accept graduates of universities from all around the world. What are the benefits of joining The Graduate Union? To learn more about the benefits of being a Member of this great Association, visit our Benefits page. How long does the membership approval process take? Provided everything checks out, we aim to send out your membership card within ten working days. Can I stay at Graduate House if I am not a post-graduate student? Yes, of course! Though we must provide mainly for post-graduate students, we also have in residence Members who are visiting Melbourne and academics from all over the world. We do need to sight your degree certificate before awarding membership. For more information go to the Join Us page. As a Member, may I use the library and meeting facilities? The Johnston Library, dining room and lounge, and our meeting facilities can be used subject to availability. Our Hospitality Manager will guide you through any requests regarding private functions. Please visit the Contact Us page for further details or make an Online Enquiry. I do not have a degree. May I still join? Give our Membership Relations Officer a call to discuss becoming an ‘Associate Member’. I represent an organisation/group that wants to hold a meeting/function at Graduate House. May our organisation/group join? Yes, and we provide very good terms to encourage meeting of organisations from the charitable, not-for-profit, education and government sectors. It costs a bit more if you are a ‘for-profit’. Graduate House will send you a confirmation email, asking if you wish to proceed with the booking. If so, the payment and application details will be forward to you. All relevant payment details for your deposit are on the application form. Yes, Graduate House is a membership organisation. As a Resident, you automatically assume Member status while residing within our college. Your support to continue your membership is appreciated, if your residency continues over 12 months you will need to renew your membership in order to continue with your stay. This can be done online or at reception. Can I pay the deposit upon arrival? No, in order to confirm you booking we require the deposit payment prior to arrival. Rental payments can be made at reception. Payments can be made by cash, eftpos or credit card or you can set up a direct deposit (see reception for details). Please refer to page two of the Residential Terms and Conditions. What facilities are available in the room? Please refer to the website under Room Types. Can I see pictures of the room? Can I see pictures of the communal area? Please refer to the website under Accommodation Overview. We say around six people per bathroom, depending how many Residents are in each wing of Graduate House at that given time. There are a collective of ten communal bathrooms. Does the room have air conditioning and heating? Yes, all rooms are fitted with an air conditioner and heater. There are no additional utility costs with your rental payment. The only additional cost is Internet with several plans available. Can I have a room rate excluding meals? No, Graduate House does not offer any rates excluding meals. Do you have a floor plan of the room and size of room? Do you have a floor plan of the building? Unfortunately we do not have a floor plan of the building available. I’m checking in late, how do I get my keys? Upon confirmation check-in information is provided. Please ring the door bell and the duty resident will assist with your check-in. Can I leave my luggage somewhere if my room is not ready? Yes, we are more than happy to look after your luggage. If needed, can I leave my luggage at reception after check out? Yes, we are happy to look after your luggage upon check out. Is Internet included in the room rate? No, Internet is a separate charge from your rental payment. There are several plans available. Please note that free standard Wi-Fi (suitable for web browsing and emails) will be provided from 1st January 2019. Rooms are serviced once a week which includes linen change, bathroom cleaning, and vacuum. No, Graduate House provides all linen. You may, however, bring your pillow or doona. Can I have a guest stay in my room? This must be arranged 48 hours hours prior to your guest arriving. Additional guests can only stay if you are living in a double room. We do not allow additional people in the single rooms. Yes, we have our own car park available. Please see the car parking page for further details. The only rooms that we allow cooking in is in the Self Contained Deluxe Apartments. We have a communal kitchen available 24 hours, 7 days a week. Can I have a microwave in my room? No. Also not allowed are toasters, rice-cookers and other similar items. 220 Leicester Street, Carlton, VIC 3053, Australia. Yes, please ensure you have your name on the packages so we can track your booking. I have late classes, can I order late dinners? Yes, late dinner request can be made from our website under Requests. All requests must be made by 3.00pm the same day. Yes, All our meat excluding Pork is certified Halal. I’m a vegetarian/vegan what meals do you offer? Each meal has a vegetarian and vegan option. Only the Self Contained Deluxe Apartments are fitted with hair dryers. Otherwise, Residents must bring their own. All rooms excluding William Berry Wing (shared bathroom) are fitted with bar fridges. How do I check-in on the weekend? Prior to arrival, please contact the reception confirming arrival date and time. Upon arrival, ring the door bell and the duty resident will assist with your check-in. Will reception be open on the weekend? Reception is closed on weekends and public holidays. Please contact the duty resident on weekends for queries or anything that is usually handled by reception. Well you can showcase your feature articles, poems, and other literary work in our publications and online! Advertise your company in our publications or online! What is your publication reach? 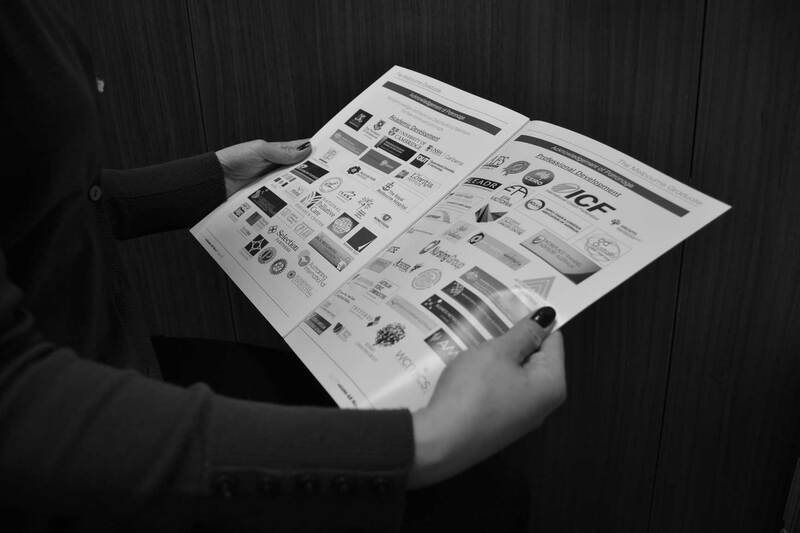 Our Members are international and regularly receive our publications. Of course, our website and social media are (like all others) accessed by people from all over the world. What does ‘graduate pathway’ mean? It is the story of a graduate following graduation and traces their life since (e.g., career, children, family, country, achievements, etc.). What is the Melbourne Graduate? The Melbourne Graduate is magazine the we publish bi-annually. It contains long features, detailed reports and a very extensive overview of the events and happenings at Graduate House and of the Graduate Union. What is the monthly newsletter? The newsletter is a publication that is sent out to all members every month. It contains stories around Graduate House, Resident news, and other stories of interest. While it is a tie back to Graduate House, it is also an insightful and educational publication to inform and entertain with stories outside of the Graduate Union and Graduate House. Can I contribute to your publications? Can I advertise on Graduate House social media accounts? Of course. We aim to support our Members in many ways. Should you have any event, news or otherwise that you would like to share with the Graduate Union body and members of the general public, we can arrange to share your news on all social media channels, or just one of your choosing. You may get in touch with our publications team at publications@graduatehouse.com.au. Can I advertise in your publications? Yes you can. We can tailor space for you in our newsletter, or we can create custom content for you, depending on your needs. Get in touch with publications for more information publications@graduatehouse.com.au. What are the benefits of becoming an Organisational Member? There are many benefits to becoming an organisational member. Some include: meeting room facilities (meeting room hire is waived and delegate packages reduced), accommodation at Graduate House, formal dinner/lunches, member prices for events, and the use the use of our reciprocal clubs. View our benefits page for more. If I wanted to hold a conference here, what is the capacity? We offer all types of room configurations to suit client’s needs and we allocate the most appropriate space. The Stella Langford Wing (Cochrane, Taylor and Hewlett rooms) can be one large room or divided into 2/3 of one space or divided into 3 smaller spaces. The Ian Potter and Stillwell Room combined – can be one large room or divided into 2 rooms. The Johnston Library is ideal for small meetings. Our detailed meeting and function services booklet outlines all maximum number of people for each space and configurations. See more about configurations. How much does it cost for Audio Visual and Equipment? For non-members: Room hire is $250.00 which includes A/V and other equipment. Becoming a loyalty card holder is excellent value for money. It is a $40.00 annual fee (from date joined) and offers discounted dining room meals (including Stonegrill), a number of free meals, coffees, discounted events and much more. What’s the difference between a Member, a Loyalty Card and a non-Member price for lunch? Member prices are generally the cheapest option, a meal at Graduate House costing just $12.00. For non-members, meals are $20.00 and for loyalty card-holders is is $15.00. What times is breakfast, lunch and dinner? Breakfast is from 7.30AM – 8.30AM, lunch is from 12.00NOON – 2.00PM and dinner is from 6.00PM – 7.30PM. Can I come here for breakfast (if I don’t live here)? Yes, you are very welcome to have breakfast here. Members $12.00, loyalty card holders $15.00 and non-members $20.00. How much would it cost my friend, who is a non-member, to come along for dinner? Your friend, a non-member will pay $25 for dinner at Graduate House. Why not encourage your friend to become a member! What time does the café/ bar open? Our cafe/bar opens at about 8:30AM, if there is an event at an earlier time, it will be open to accommodate the guests. Closing time for the bar is at 8:00PM, unless there is also an event which will go later.